This is the most popular Indian non-veg rice dish. There are different methods to prepare this dish. 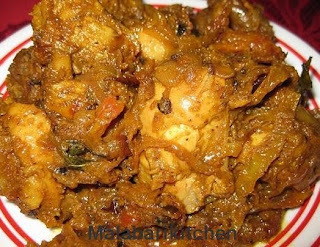 The below recipe is very easy and popular one. =►Mix together all above mentioned Marination ingredients. 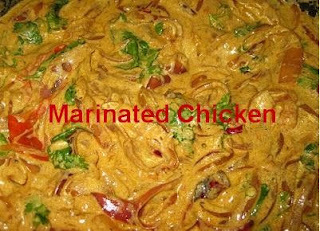 =►Add chicken pieces into the above mixture and marinate well. Keep it aside for 1hour. 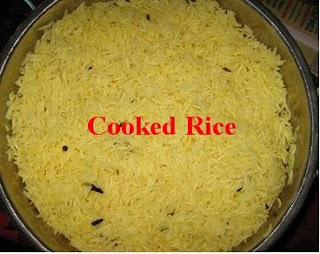 =►Soak basmati rice for 15-30min. =►Heat 1tsp of ghee in a pan, add cashews, raisins, 1 cup of onion into it. Fry it and keep it aside. 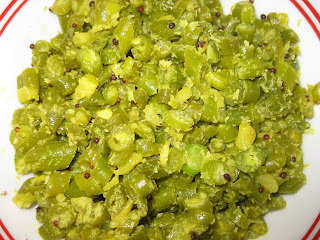 =►In to the same pan add one more tsp of ghee and put cardamom, fennel seeds, cinnamon, cloves and bay leaves. Saute it well and slow down the flame. =►Then add 8 cups of water, ½ tsp of salt and a pinch of turmeric into it. 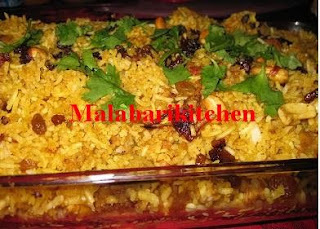 =►Allow it to boil on medium flame and add 2 cup of basmati rice into it. 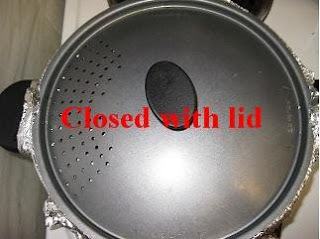 =►When it cooks 90% then switch off the flame and gently drain the water from the rice and keep it aside. =►Heat 4tsp of oil in a pan, add ginger & garlic paste into it and sauté it well until the raw smell of garlic goes. =►Add 2cups of onion into it and fry it well until it becomes golden brown. =►Add sliced tomato, Turmeric powder ( ½ tsp),Chilly powder (2tsp), Coriander powder (2tsp),Garam masala ( 1tsp) and Biriyani masala powder (2tsp) and mix it properly. =►Add marinated chicken into it and mix well. 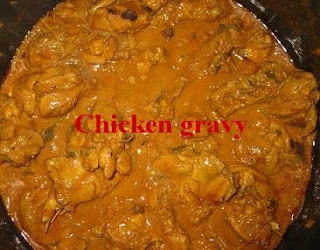 =►Allow the chicken to cook well on medium flame until all water is absorbed and chicken pieces are coated with gravy. =►Gently increase the heat (high) and add 2tsp of ghee into it. 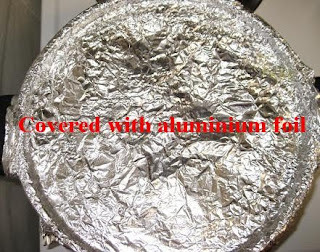 and cover it with aluminium foil & lid. =►Reduce the flame (sim) and allow it to cook for 1-2 min on sim flame. =►Switch off the flame. After 1 hour remove the aluminium foil from the vessal. 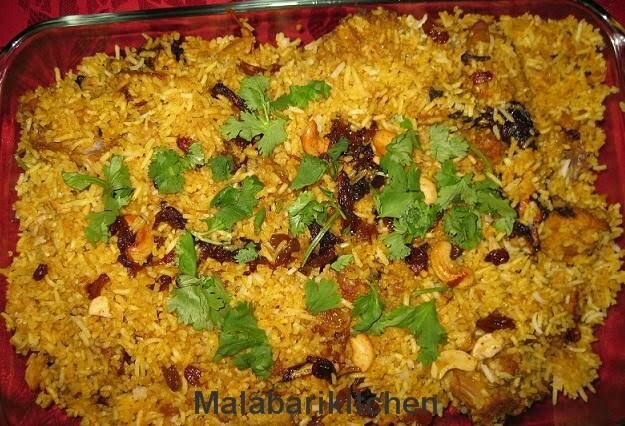 =►Spicy biriyani is ready. Garnish with fried onion, cashew, raisins and chopped cilantro. That is really delicious and great recipe dear, shall try your method next time..